Recently, there is a high demand for development of polymeric membrane for their widespread technological applications. Polymer blends incorporation with inorganic composite particles is the most effective strategy for obtaining antifouling, antibacterial, gas and water permeable membrane materials. However, their biological and surface properties are always hindered by the inefficient interaction of filler into polymer matrix because it is distributed into the bulk membrane matrix. 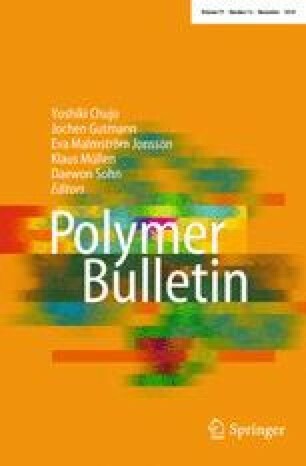 In this study, graphene oxide nanosheets are incorporated with metal (Ag)/metal oxide (ZnO) composite filler (MGO) followed by surface modification with quaternary cetyltrimethylammonium bromide (CTAB) to enhance non-covalent interactions between filler and poly methyl methacrylate (PMMA)/polyethylene glycol (PEG) blend membrane. The membrane was utilized for improving antifouling, antibacterial and gas permeability of membrane. Our results indicated that CTAB-modified filler (CTAB@MGO) was bonded to the polymer blend membrane without affecting the membranes’ physicochemical properties. The prepared CTAB@MGO–PMMA/PEG membrane showed excellent antibacterial property against model Escherichia coli bacteria. The antifouling activity and CTAB stability results of modified blend membrane ensured reduced bovine serum albumin adsorption and slow dissociation of surfactant molecules, respectively. The CTAB@MGO–PMMA/PEG blend membrane also showed promising gas permeability results with hydrogen (H2), nitrogen (N2) and carbon dioxide (CO2). The presented approach highlights the potential of surface modification of filler and introduces them in polymeric membrane as a simple, easy and cost-effective strategy for preparing antifouling and gas/water permeable polymeric membranes. The online version of this article ( https://doi.org/10.1007/s00289-018-2356-4) contains supplementary material, which is available to authorized users. The authors thank Dr. Kamlendra Awasthi for gas permeation characterization of samples. We thank Dr. S Bharadwaj and Ashish Pandey for their assistance in sample preparation and SEM imaging of samples.